She is not Daredevil, but still an exceptional role figure for all the people in the Pacific suffering for a disability. There have been many firsts in the life of 36-year-old Mataafa Faatino Utumapu, a totally blind woman from birth who is making inroads for disability rights in her native Samoa. In 2014, Mataafa led national advocacy work on the Washington Group Short Set of questions designed to identify (in a census or survey format) people with a disability. As a result of this work, Samoa became the first country in the Pacific to collect information on the situation of both children and adults with disabilities in its 2014 Demographic and Health Survey and 2016 National Census. In 2016, Mataafa coordinated the country’s very first registration of people with disabilities for the national elections as well as training for elections staff to ensure that the electoral systems were responsive to the diverse needs of persons with disabilities. Mataafa is currently one of 10 Disability Leaders from across the Pacific who assist in the regional implementation of the Convention of the Rights of People with Disabilities through the Pacific Disability Forum. Trained by the International Disability Alliance, this team is now responsible for providing incountry disability inclusive training to government ministries, NGOS, the private sector and wider community. 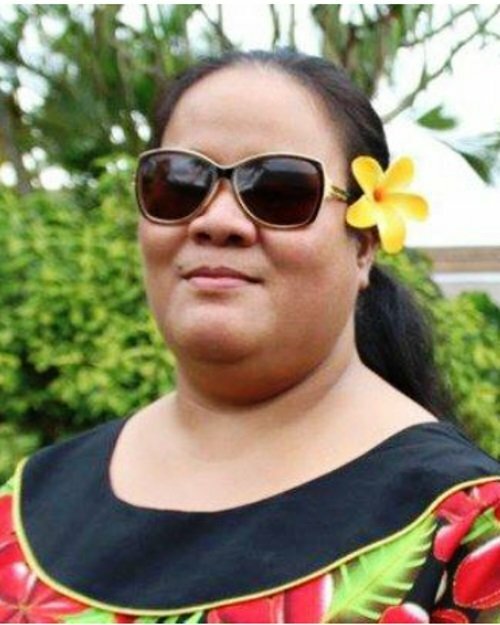 As the office manager for Nuanua O Le Alofa, the national advocacy organisation for persons with disabilities in Samoa, Mataafa has led advocacy work to support the establishment of the Wheelchair Users Association of Samoa and the Samoa Association of the Deaf. As a female matai, church leader and Sunday school teacher, Mataafa plays an important and respected role in community development. In 2016, Mataafa was named Samoa Observor’s Person of the Year and received the Pasifika Award from the Pacific Disability Forum. “Mataafa’s hard work is living proof of how Samoa began to make the necessary efforts to make the rights real for persons with disabilities through ratifying and working towards implementation of the Convention on the Rights of Persons with Disabilities,” said Nuanua O Le Alofa in a statement. This portrait of Mataafa Faatino Utumapu was first published by the Pacific Community for the 70 Inspiring Women campaign, it is reproduced here (with some modifications of our own) with their permission.